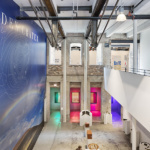 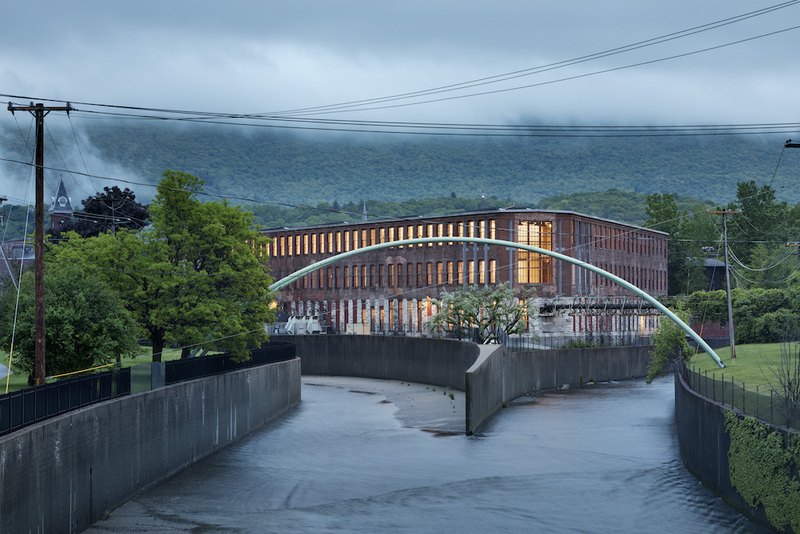 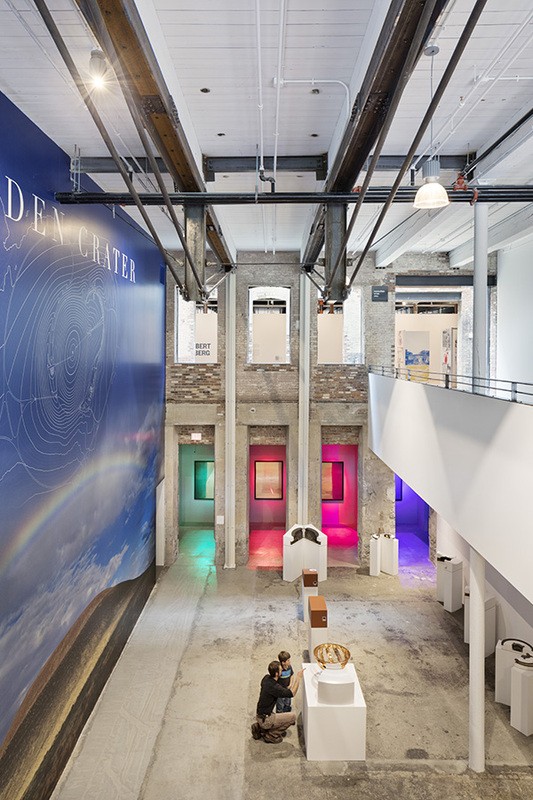 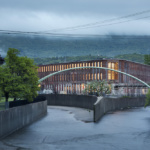 MASS MoCA breathes new life into a 17-acre industrial complex built in the late 1800s. 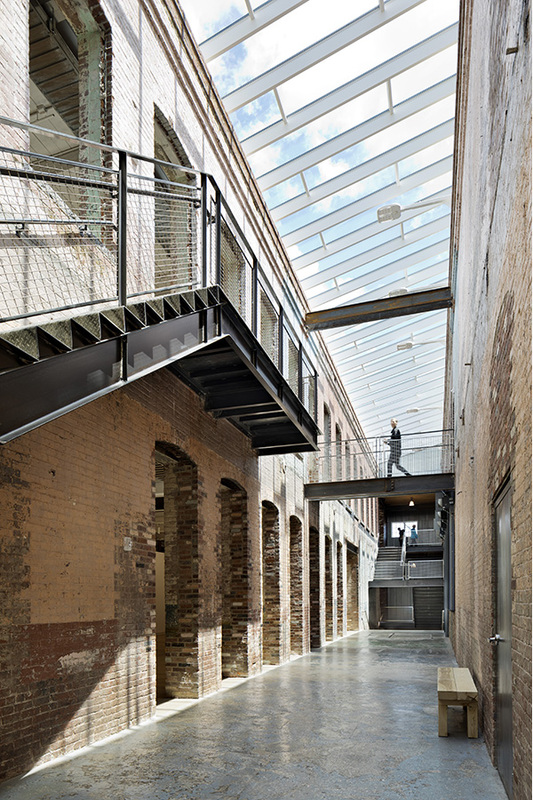 The pioneering adaptive reuse project was completed in three phases, initially opening to international acclaim in 1999. 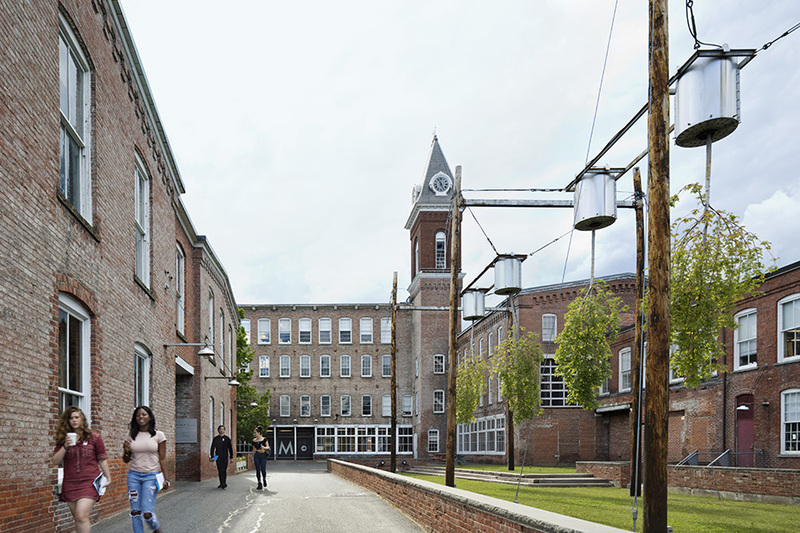 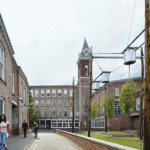 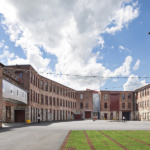 The third and final phase, Building Six (the Robert W. Wilson Building), is the realization of Bruner/Cott Architects’ 25-year master plan, which continues MASS MoCA’s “museums within the museum” concept. 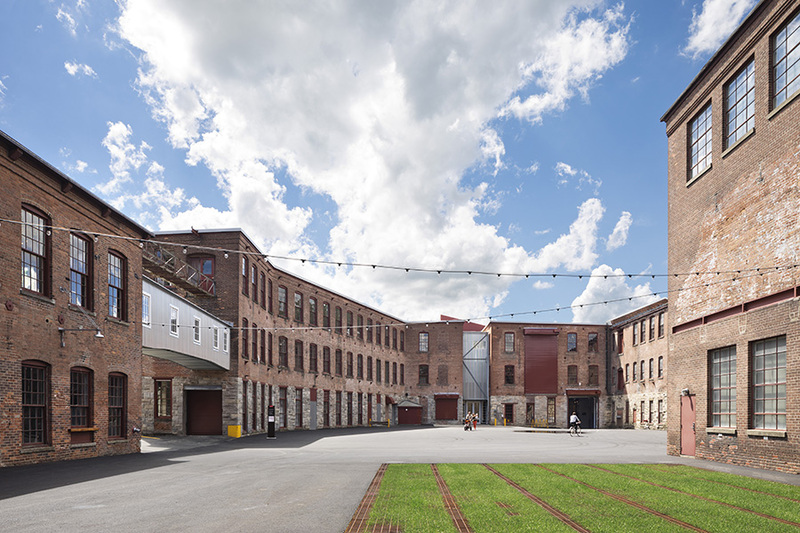 The two buildings, a combined 130,000 square feet of undeveloped space, provide areas for video, film, and multimedia exhibits, as well as events, workshops, and storage. 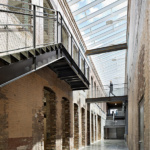 The buildings’ massive size, along with the complex’s interlocking courtyards, bridges, and walkways, offer the opportunity to experiment with open spaces, structural elements, and connections. 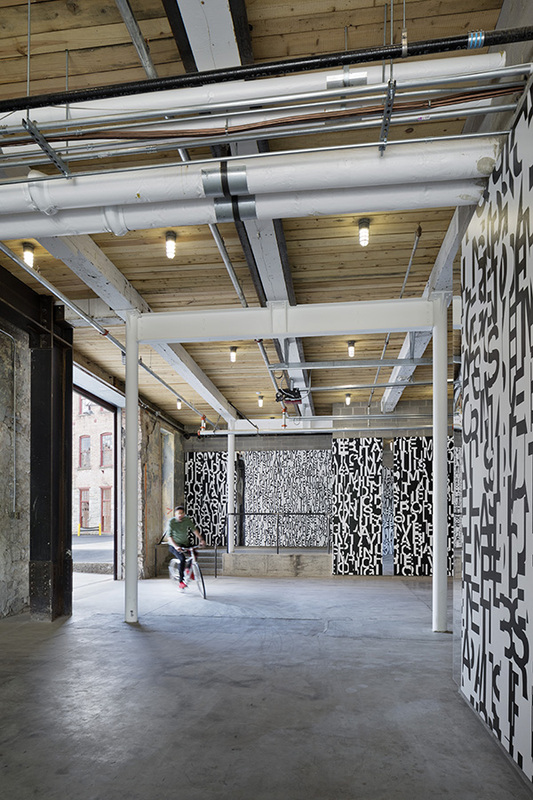 Within inserted galleries, existing elements are woven into the new, resulting in a transparency that encourages collaboration.